The Trump administration wants to tax $11.2 billion worth of EU goods — from airplanes to Gouda cheese — in a move that some experts say marks another attempt by the administration to use tariffs to reshape global trade in its favor. The import duties would be imposed if the World Trade Organization rules in favor of the United States this summer in a case over subsidies that the Europeans gave plane maker Airbus. The Trump administration argues that the ruling would give it the legal right to make up for losses U.S. manufacturer Boeing incurred. But economists say the Trump team appears to want to use the ruling not merely to help Boeing but to heighten pressure on trading partners such as Germany, with which the U.S. has a trade deficit. In the end, more tariffs could further raise consumer prices in the United States and weigh on the global economy at a time when it is showing alarming signs of stress as the United States wages a broader trade war with China. “The EU has taken advantage of the U.S. on trade for many years. It will soon stop!” Trump tweeted April 9. The Trump administration’s list of European products to tax includes the types of helicopters and aircraft Airbus makes but also a wide range of European exports: famous cheeses such as Stilton, Roquefort and Gouda, wines and oysters but also more obscure exports such as ceramics, knives and pajamas. While the size of the tariffs is small compared with the hundreds of billions the United States and China are taxing in their trade war, it suggests a breakdown in talks with the European Union over trade. The United States and EU have been negotiating since last year about how to avoid tariffs that Trump has wanted to impose, with little result. EU responded with tariffs on about 2.8 billion euros’ worth of U.S. steel, agricultural and other products, from Harley Davidson bikes to orange juice. The United States and EU have since July been negotiating how to scale back the tariffs, with Trump holding out the bigger threat of slapping tariffs on European cars — a huge industry in the region — should the negotiations not yield a result. 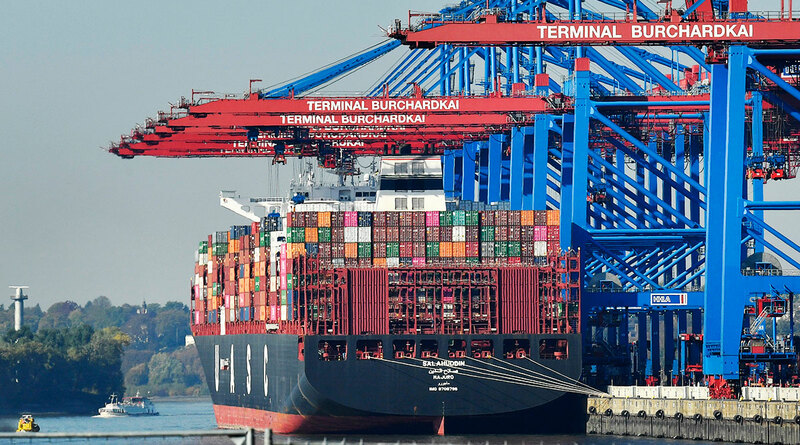 EU responded April 9 to the United States’ latest call for new tariffs by noting that it was based on its own estimate, not anything it had been awarded by WTO. It also said EU is preparing to retaliate based on a separate WTO case, in which U.S.-based Boeing was found to have received illegal support from in the United States. It did not say how big that retaliation might be. Eric Schweitzer, head of the Association of German Chambers of Commerce and Industry, lamented the trade tensions. Whether the United States gets the legal right to implement the new tariffs will depend on a ruling by WTO, a Geneva-based organization that sets the rules for global commerce and settles disputes. After 14 years of legal wrangling between the United States and EU, WTO ruled in May last year that EU had provided some illegal subsidies to Airbus, hurting Boeing. The United States expects WTO to say this summer that it can take countermeasures to offset the EU subsidies. It now will start a consultation with industry representatives on the list of EU goods it wants to tax so that it can have a ready list.